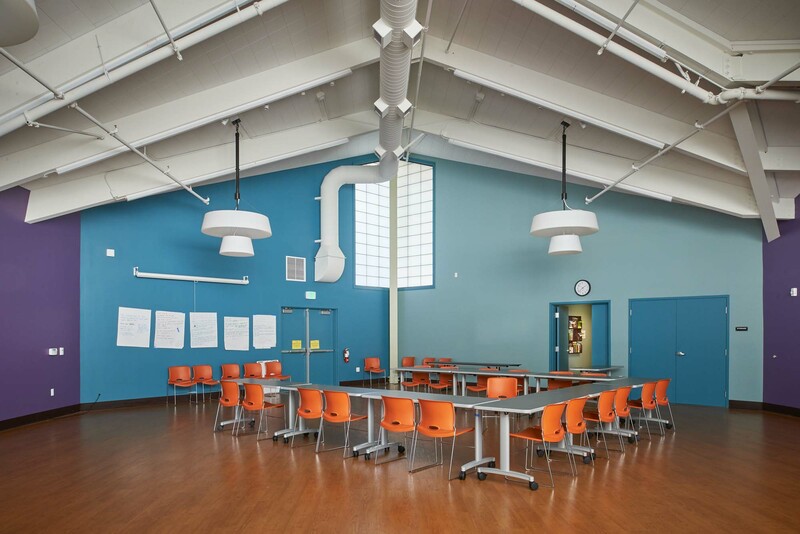 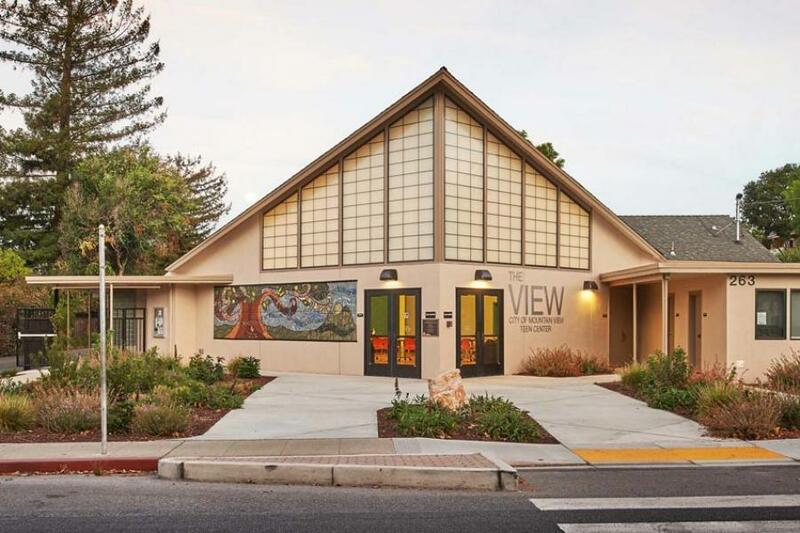 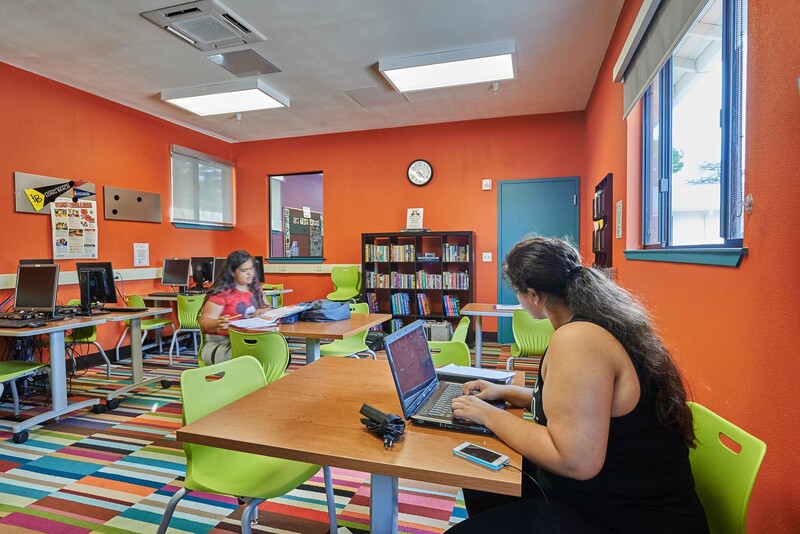 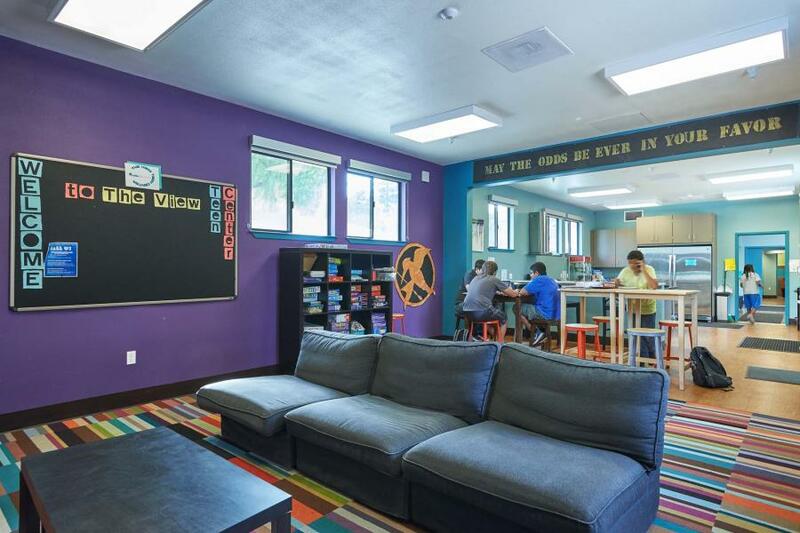 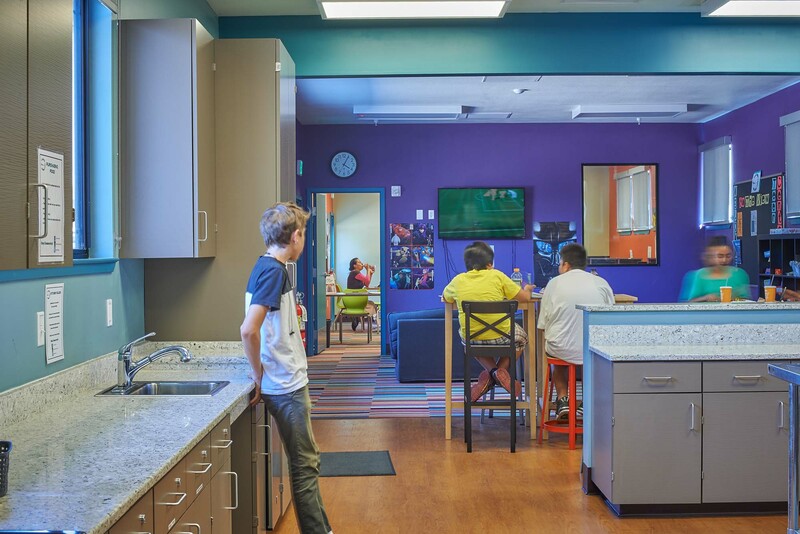 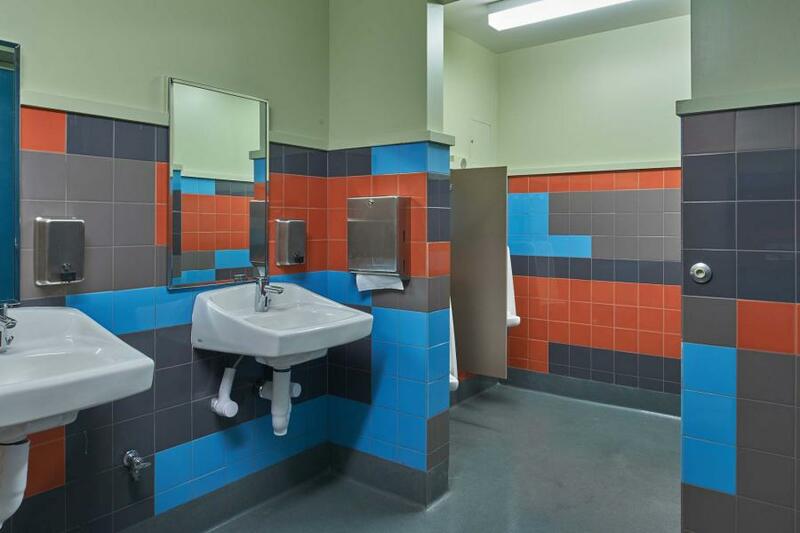 Renovation of a former church into a teen activity center, including a multipurpose room, game room, video game space, computer classroom, lounge, teaching kitchen, offices, and police office. 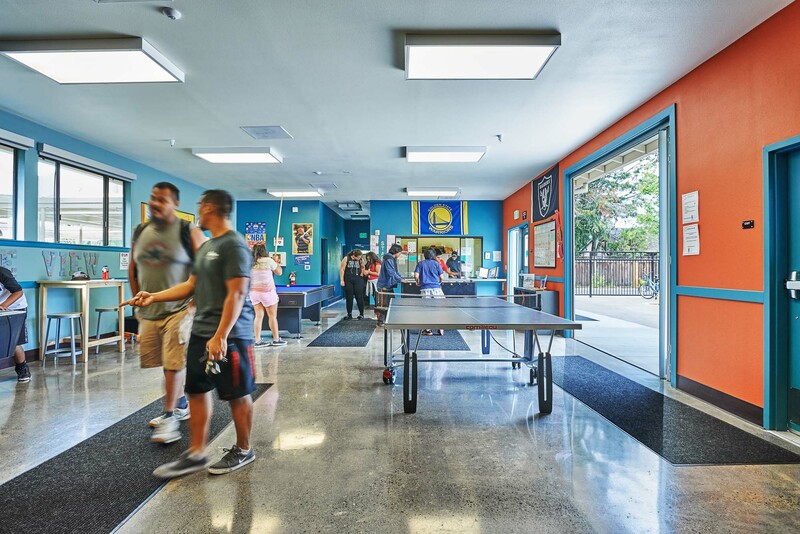 The Game Room and Classroom open onto an enclosed and tree shaded courtyard. The site development includes a parking lot and grass playing field. 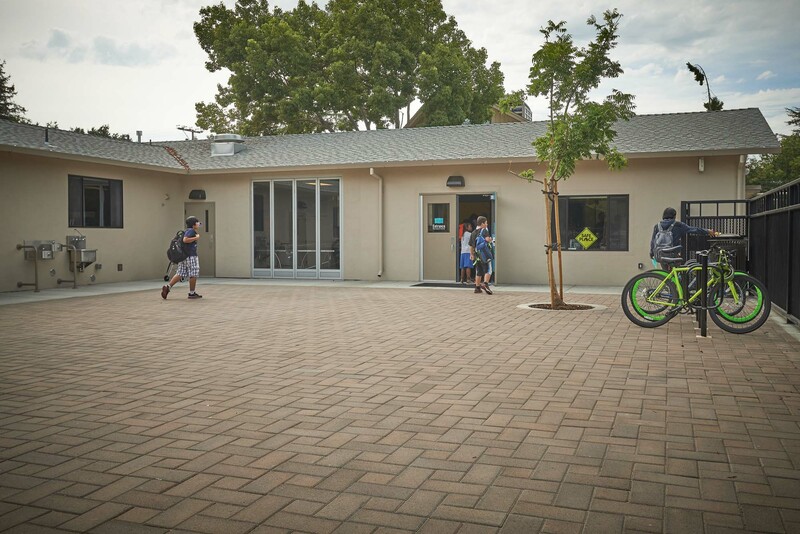 The project minimizes water runoff through the use of permeable asphalt in the parking lot and permeable pavers in the courtyard. 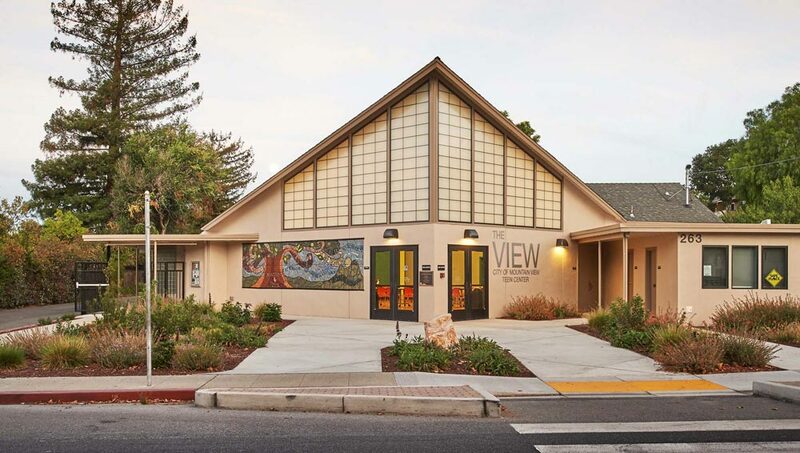 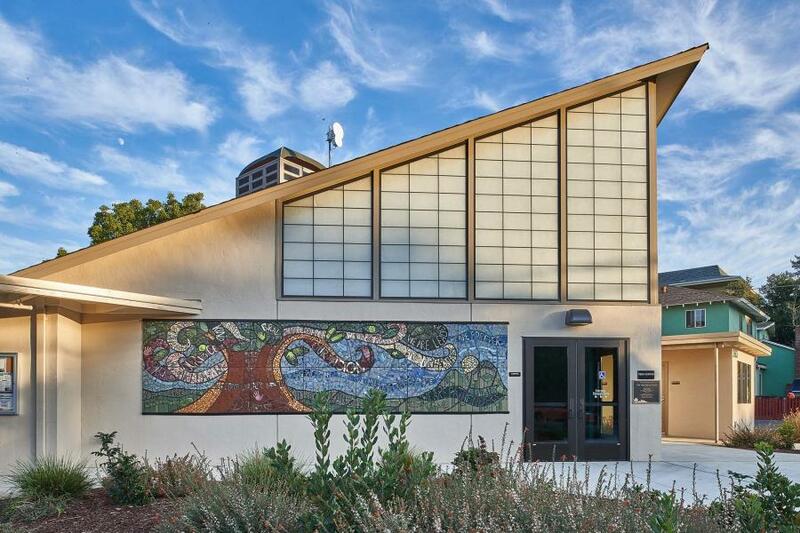 The main entry, facing the Senior Center and Rengstorff Park, incorporates an entry plaza and a mural by the artist Leslie Scott, who led a group of middle and high school students in creating the vision for the mural.